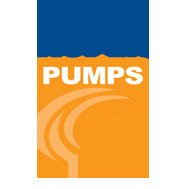 Aspen Pumps is the market leader in design and manufacture of condensate pumps for the air conditioning industry. Aspen was established in 1992 by three engineers fitting air conditioning and refrigeration equipment. The existing condensate removal methods did not meet the needs of the installers and so a range of reliable peristaltic pumps was developed. From these humble beginnings Aspen has grown into the market leader in condensate removal, supplying a range of peristaltic, tank, mini & supermarket pumps to markets in over 62 countries throughout Europe, the Americas, Africa and Australasia. Long term investment in UK manufacturing, commitment to innovation, intimate knowledge of the air conditioning industry and global marketing achievements have seen the business flourish in all areas, setting the standard for excellence in the air conditioning industry.